What is RTP in Slots? “How to find the loosest slot?” is probably the most frequently asked question by casino players. But what does it mean that the slot is loose or tight? If you know it or not, the factor that defines that is called RTP or Return to Player. Naturally, it is one of the most important numbers of slots engineering and something each player should be aware of. It’s pretty easy to explain what it is, but the main goal of this article is not to explain the math behind slot machines, but how you can actually use it to increase your winning odds. The easiest way to explain is through an example. Let’s take two slots, Blood Suckers and Queen of the Nile. The RTP of Blood Suckers stands on 98%. 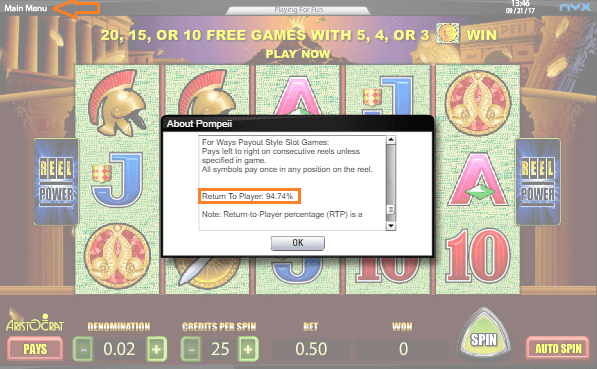 What that means is that for every $1 bet you place, you will get on average 98 cents / pennies back. Of course, we do not mean literally for every spin, cause then none of us would be playing slot machines, but in the long run. On the other hand, if you place $1 bet on Queen of the Nile (94.88% RTP), on average you will get 95 cents back. The difference might seem small, but you should look at the long run. For example, if you are making $1 bets and playing a certain slot now and then, eventually you will make 10,000, 100,000 and even 1,000,000 spins on a certain game. And then this 3% difference really kicks in. Just after 10,000 spins on Blood Suckers you are likely to end up with 300 dollars more in your pocket than on Queen of the Nile. Again, we are talking statistically. Let’s say you have a bowl with 10 balls. 9 of them are white and 1 is black. With white ones you lose. While if you pick a black one you win x9 times your bet. What will be the RTP here? The lifetime return here is 90%. Since in the long run you will lose 9 of 10 bets, and once in 10 bets you will pick the black ball and earn x9. In total, for every $10 wagered, you will get $9. The problem is that nowadays slots have thousands of different variations so you won’t be able to really do the math. Luckily, you have various legal entities and third parties that test each new slot and check that it’s return fits the regulations. What is the payout percentage of slot machines? Here the answer is not simple. It depends on where you leave and if you choose to play online or in real casinos. Land based casinos follow local state or country rules which state the lowest acceptable RTP. For example, in many USA states the lowest limit 80% to 83%. The typical payout stands from 82% to 98%, with the average somewhere around 92% to 93%. In online casinos the payouts are usually much higher. 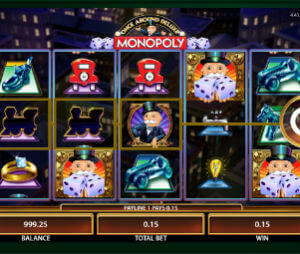 The average is somewhere around 95% – 96%, while some slots pay even 98% and higher. How can I check slots RTP before I play? That’s the most important question: how can we find the loose slots and avoid the tight ones. Unfortunately, in land based casinos you cannot. Unless you leave in UK, where the Gambling Commission demands that the RTP will be listed on each slot. But…Thanks to UK Gambling Commission, online slots players can know which slot machines pay the best. As we said, in UK, the software developers must publish the official RTP of each game, but unlike in the real world, in online casinos the same slot can be played by players from all over the globe, therefore we can all know what is the return of each slot machine. At least all of them that are available to UK punters as well. Usually, you can find the RTP by clicking the Help or Paytable button. If you are not interested in checking slot after slot, just check our Loosest Slots page and you will find the highest payout slots by each software provider.